When I first moved to Cape Cod, leaving behind my family, friends, and a reliable source of cheap Mexican food, I got lonely and homesick. Whenever I missed the mountains, I’d drive to the beach. I spent a lot of time looking at the ocean – mostly from the comfort of my car because it’s hard to be homesick when the weather is nice. Decades later, I thought about those trips to the ocean as I watched the waves from my old parking spot at Nauset Light and noticed a sign right in front of me: WARNING! Unstable areas can collapse at any time. Stay back. Things really do need to be right in front of me sometimes. And be literal signs. I thought, well obviously. When I moved here I had come specifically to stand on the sand, stomp on it, and see what happened. Not this exact beach or sand dune, I’m not an environmental monster. I moved east because I needed to figure life out, and discard the parts that clearly weren’t working. I also really liked it here. 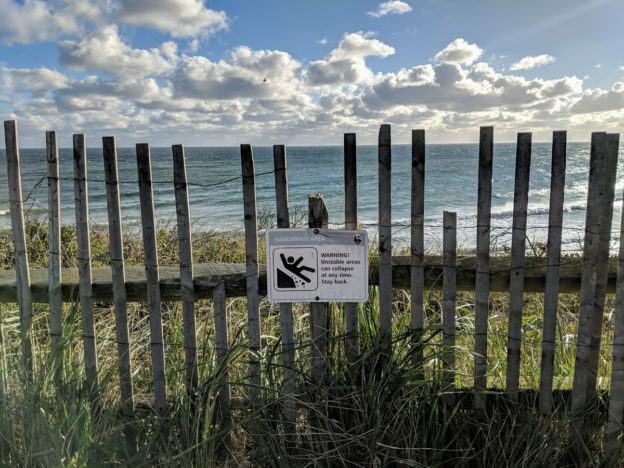 If you have a choice, of course you avoid the unstable parts and walk obediently to the path and stairs, where it’s shored up and safe, and won’t do ecological damage. When it’s your life, you don’t always have that choice. 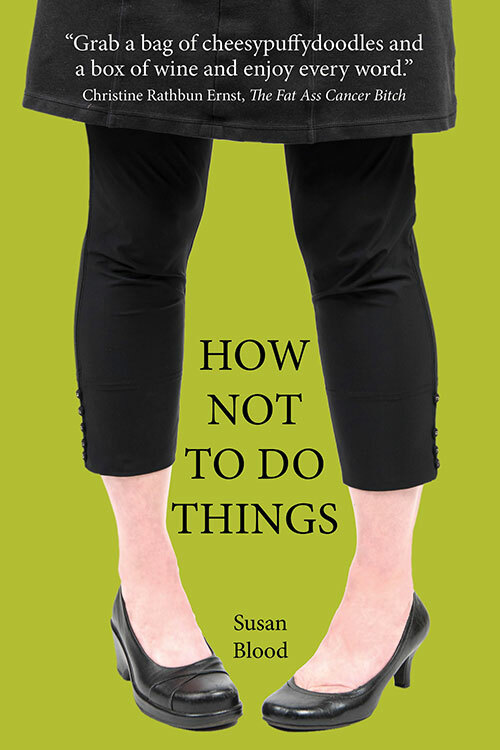 And when you realize that you’re standing on something that’s eroding around you – and out from under you – you need to do something about it. Like, jump up and down until it all gives way so you can find the parts that are solid. I wanted to revise the sign: “Unstable areas can collapse at any time. Go for it.” But nature doesn’t need life lessons and some dork would take it literally. But once that sand finds its spot and settles into the cracks and crevices of life, it’s pretty solid. You can shake it down, stand on it, jump on it – until the next time things shift and it’s time to move, grow and reevaluate. But by that time you know what to do. *I first typed “issues we permit” because Freud. This entry was posted in Trout Towers and tagged Cape Cod stories on by .